The city government of Davao has warned the Dabawenyos from investing money to any group, which promises huge monthly returns. Simplicio Sagarino, head of the Anti-Scam Unit of the Davao City Hall, issued the warning after receiving a memorandum from South Cotabato Police Provincial Office about certain organizations like Kapa Community Ministry International, Inc. and ALMAMICO (Alabel Maasim Small Scale Mining Cooperative) encouraging people to invest for a bigger cash return of up to 30 percent each month. The two entities operate in Glan and Alabel in Sarangani province; Bislig City in Surigao del Sur; and General Santos City and South Cotabato. “If you have invested money or have been invited to invest, you may report this matter to our office or the SEC for appropriate action,” Sagarino said. 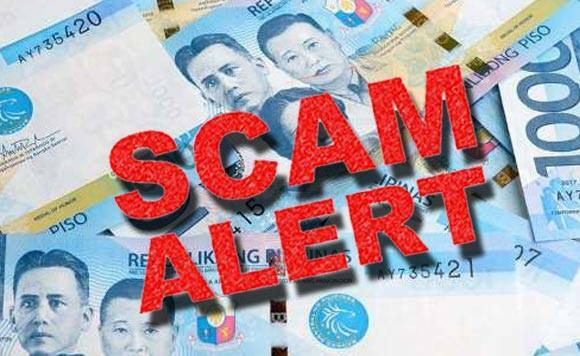 Victims of the scheme may report to the Anti-Scam Unit located at 3rd Floor, Lingap Bldg., A. Pichon St., Davao City or the SEC Davao Extension Office located at SDC Building, Purok 13, Ma-a Road, Ma-a, Davao City, he said.